Elanee's Endeavors ! 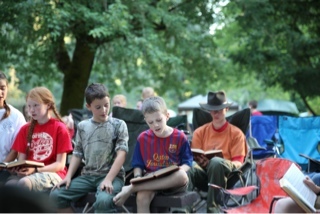 : August Church Campout! 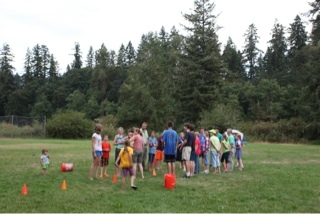 In the first week in August, my family and I enjoyed camping with our church. 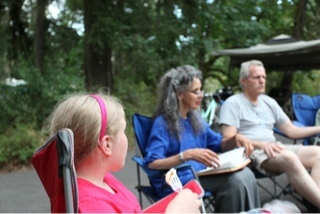 We had a wonderful time with friends and family, and enjoyed every minute of our time together. Since I've never slept in a tent, (except in our backyard,) I was a bit apprehensive about camping in a tent, and it turns out that I only ended up sleeping in the tent for one night, and then Evan and I migrated to our van for the remaining nights, due to the noise of a nearby wood mill. 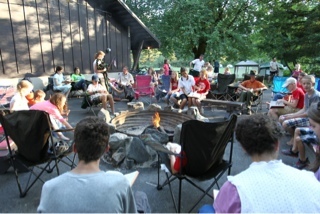 Anyhow, we had great times of sharing of Scriptures, and singing around the campfire each night. "Behold how good and how pleasant it is for brethren to dwell together in unity"
I really appreciated when Dad led one of the devotionals, and shared some great insights from James. 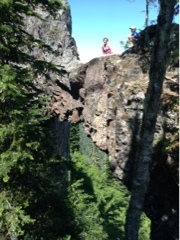 We had a great time hiking with a small group from camp, to see a Natural Rock Bridge. 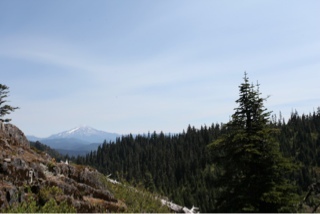 The hike was a 5 mile hike above Detroit Lake, with spectacular views of the valley, and Mt. Jefferson. 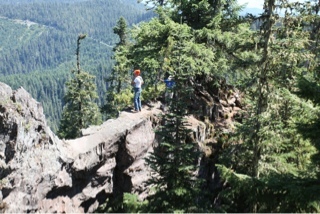 After a good hour of hiking uphill, we reached the rock bridge, and some fearless people ventured out onto the top. 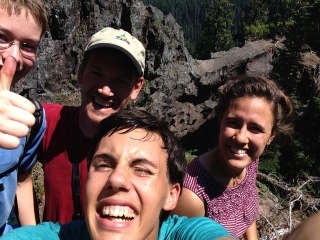 Evan and some of his "fast- hiking" group, happy to reach the summit. 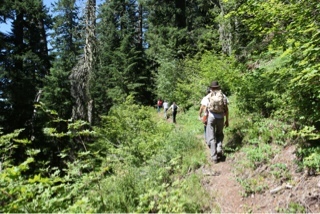 The way down seemed alot easier than the way up. I'm not really sure why that always seems to happen. 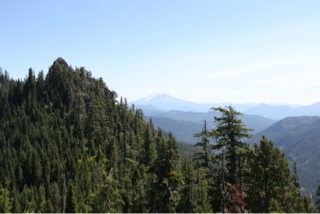 I think it's knowing where you're going, and being able to anticipate the end of the trail. Evan successfully reached his goal of being the first one up, and the first one down! 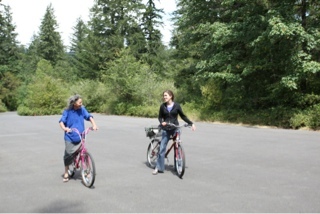 A few weeks before camp, God blessed my Dad with finding some really nice bikes on Craigslist, and so we were able to enjoy riding around camp. 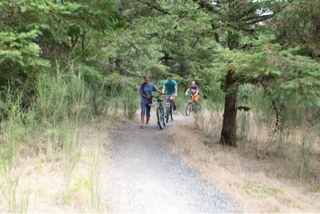 I especially enjoyed going on long morning rides on the campground trails. 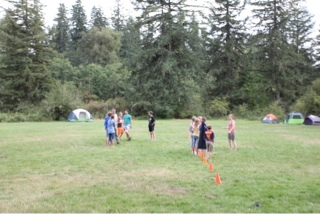 Games were not hard to find around camp. From volleyball, and volleyball, and more volleyball:) to soccer, water ballon fights, Banana grams, Anomia, and countless other card games, we had such fun together, and learned more reasons to be grateful for the Body of Christ. It was fun to stay up late the last night and roast apples, and cheese, (o.k. and a few marshmallows too:) over the fire, and enjoy telling stories of days gone by. All too soon it came time to clean up from camp, but before that, we all enjoyed a round of Frisbee, and experimented with new throwing techniques. 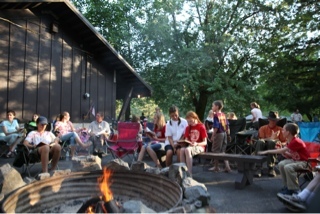 I'm so glad God allowed us to spend the week with our dear church family. 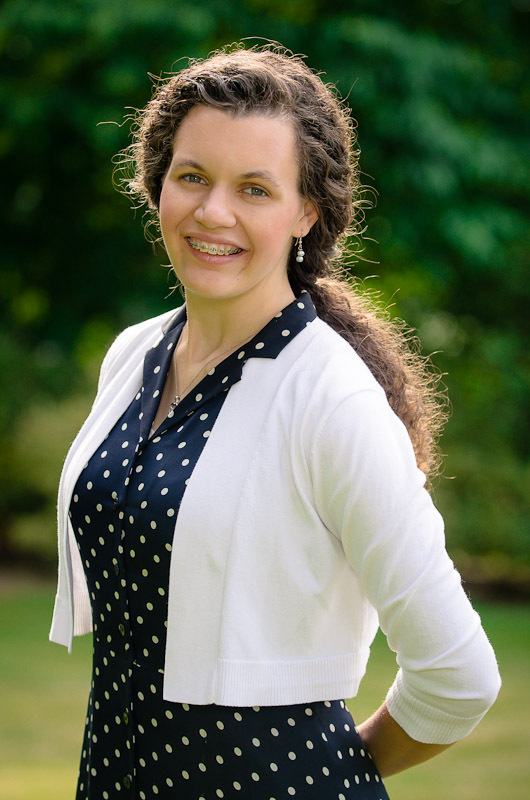 I praise God for sweet friends and family, who encourage me to follow Christ wholeheartedly. I enjoyed every moment of the camp, and I can't wait until next year to do it all over again! I love camping! 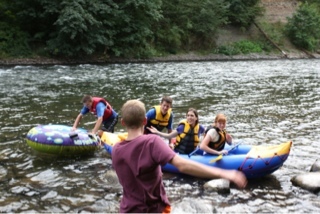 The last time I went whitewater rafting we ended up with a hole in our boat. :) That was fun ;)I hope we can go next year! It was super fun:) I'm lad you enjoyed the pictures! 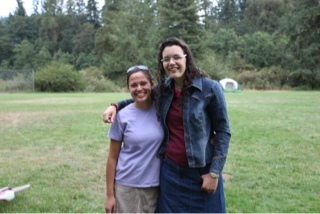 I love family camp! All the activities you did sound wonderful! 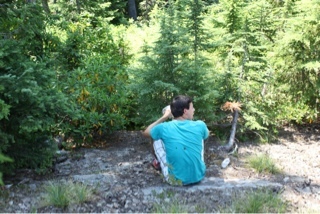 Where was the campground? 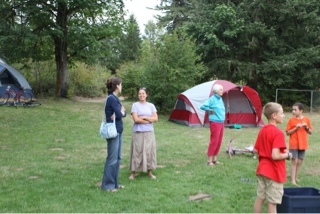 It was wonderful:) the campground was in Southern Oregon at a place called Fisherman's Bend. 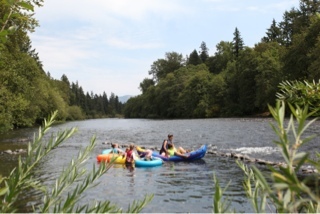 It's a really nice setting by the Santiam River!